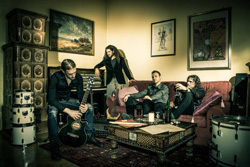 Following the success of 2013's Entering The Maze, Italian metal band Overtures toured much of Europe supporting the album and bands such as Secret Sphere, Temperance, and Threshold. Now they return with the fourth long-player, Artifacts. My first impression of this album is that it's an appropriate sequel to the previous one. 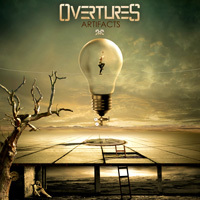 Overtures continues to blend heavy, power, and progressive metal in a creative and entertaining way. Not dismissing any band member or element, the band's strength are still Marco Falanga's bold guitar riffage and solos and Michele Guaitoli's versatile vocals woven together with a strong sense of melody and prog metal intrigue. The latter is to say that Overtures is never grossly technical. This isn't math metal. Yet they do throw in some twists and turns in tempo and signature changes. A good example is Gold, with the huge shift in tempo after the midpoint, a rush of speed with the solo blazing. My second impression is that this album may have some greater accessibility beyond power prog fans. Some of the best songs here have an abundance rock groove, making them catchy in the best AOR sense. Like As Candles We Burned, where the groove and melody are inseparably woven together. Or the following Profiled. Sure, from the brisk riffage, you know this is metal, but the catchy refrain and Guaitoli's vocal harmony lift the song. It's much the same for My Refuge: groove and vocal harmony juxtaposed against tight riffage and a speedy pace. Alternatively, being from the country and the home of cinematic power metal, Overture needs to give you some epic. That comes with Teardrop. At over ten minutes, the song builds upon the vocal and guitar arrangements, ever advancing and rising throughout, supported by some subtle orchestration, and then peppered with Falanga's fine solos. (Which are quite fiery throughout.) Bottom line: For Overtures, Artifacts is another fine album of creative and engaging progressive power metal, displaying both their ever increasing musical talent and maturity. Recommended. For Overtures, Artifacts is another fine album of creative and engaging progressive power metal, displaying both their ever increasing musical talent and maturity. Recommended.